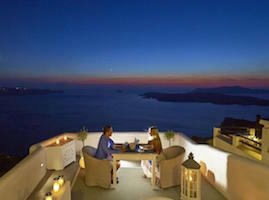 So you want to honeymoon in Greece? You won't be alone. 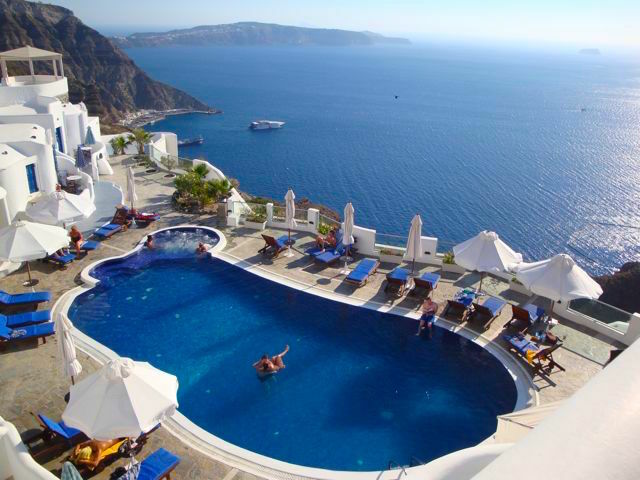 The Greek Islands are one of the most popular honeymoon destinations in the world. 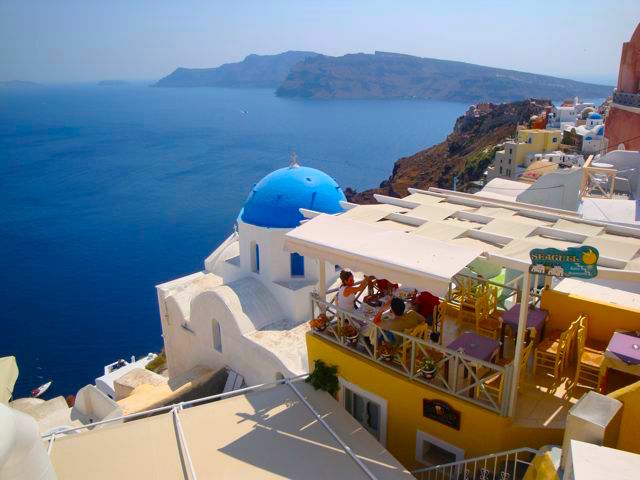 There are few places more romantic than Santorini with its white villages perched precariously on cliffs overlooking the sea in a giant volcanic caldera whose explosion and the resulting tsunami may have been the single most awesome event in the history of the planet. 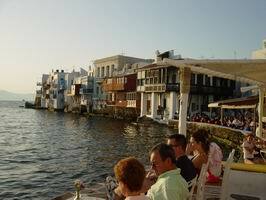 Or the island of Mykonos, its whitewashed houses a labyrinth of high-end shops, cafes, restaurants and hip boutiques and bars. 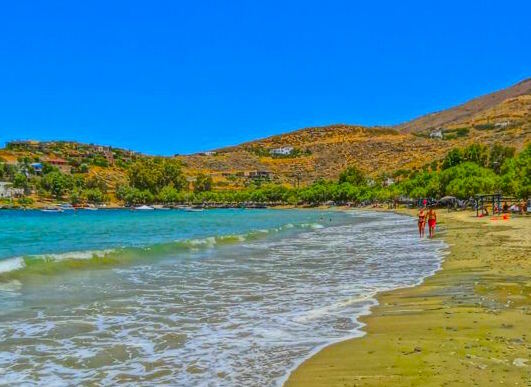 Both islands claim to have the best beaches in the Aegean, a boast that other islands like Naxos, Milos, and Serifos might contest. But if you are looking for a combination of nightlife, shopping, eating, swimming and water-sports it would be difficult to find two islands with more choices. Luxurious hotels with swimming pools that seem to extend to the sky and the sea beyond are filled with couples testing the vow of 'Til Death Do Us Part' by spending a solid week or two together, away from family and friends for the first time. But not everyone goes on their honeymoon worried about what they are going to do for entertainment and some newlyweds may seek a quieter island where the bride won't get hit on by the 'kamakis', the island casanovas whose soul purpose is to fulfill the expectations of the thousands of tourist women who come to the islands seeking romance (kamaki means harpoon) or the husband won't be lured away by the new generation of Greek Gods, who fill the many popular gay bars of Mykonos (though both are just possibilities, not a likelihood). 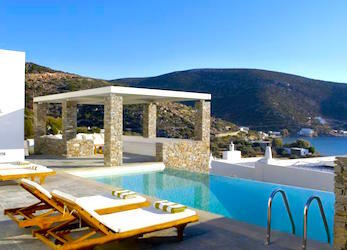 For those who believe a honeymoon should be a deeply personal experience rather than a social affair there are lesser known islands like Sifnos, famous since ancient times for its pottery, and now for its beautiful beaches, excellent restaurants, simple yet clean and tasteful accommodations, and a culture that has not yet been overwhelmed by large resorts and the mass tourism of more popular islands. 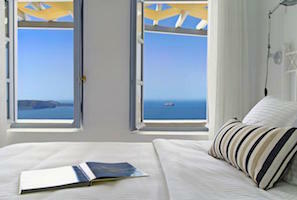 A Sifnos honeymoon combined with Santorini might be the perfect combination. "My darling... these relaxing days with you have been the best of my life... but its time to party!" Of course as many travelers have discovered, the islands you are able to include on your itinerary can sometimes be held hostage to a ferry system that seems to have a purpose that is something other than convenience for the traveler. 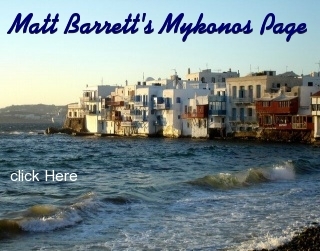 In this case a combination of Mykonos, with Tinos, the quiet religious island right next door, with half a dozen ferries a day between them, or Santorini and its neighbor Naxos, a large island with a spectacular interior and some of the most beautiful beaches in Greece will make planning and traveling a lot easier than bouncing all over the Aegean because you saw a picture of a beach you liked. 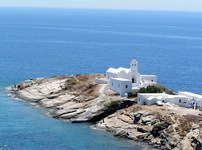 In Tinos and Naxos you will want to rent a car to see most of what these islands have to offer. If you just want to sit by the pool or by the sea waiting for nightfall then you might as well just stick to one island, and it probably won't matter which. 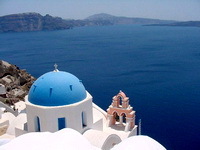 In the summer Santorini and Crete are a good combination though off-season months the ferries get tricky. Chania is the place to go in my opinion. You can take the high-speed to Heraklion, have Taxi-man Lefteris meet you at the boat and show you the city and the Minoan ruins of Knossos on the way to Chania. From there you can take an overnight ferry back to Athens. For those looking for an off-the-beaten-path honeymoon the island of Lesvos offers more to see and do than any 5 other islands combined. 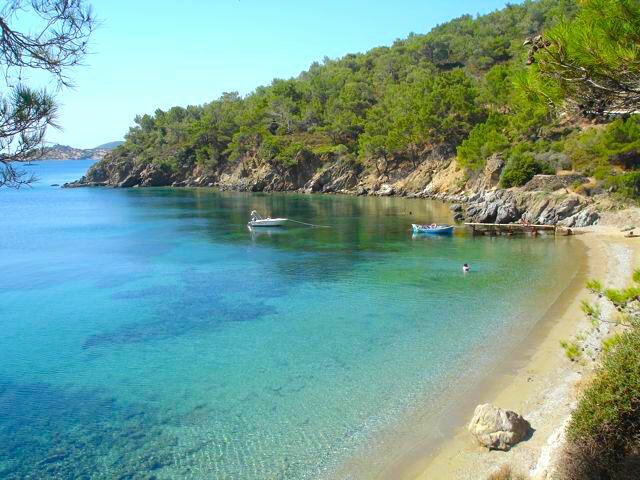 Located off the coast of Turkey, (a plus since you can easily do day-trips to the beautiful town of Avalik), Lesvos has several high-quality yet low tourist saturation resort towns which people can base themselves and explore the rest of the island with its large bays full of fish, traditional villages, ancient, Roman and Byzantine ruins, forests, olive groves, therapeutic hot springs, and some of the best beaches in Greece. It is also well known for having inexpensive seafood, and three world class art Galleries. Base yourself in Molyvos, Vatera, or Skala Eressos and rent a car and you may become like one of those people who have returned to the island every year since their honeymoon. 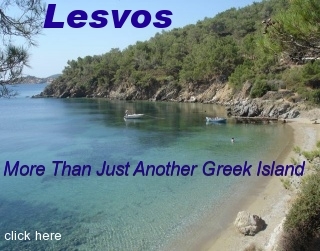 See Lesvos: More Than Just Another Greek Island for more information and lots of photos. 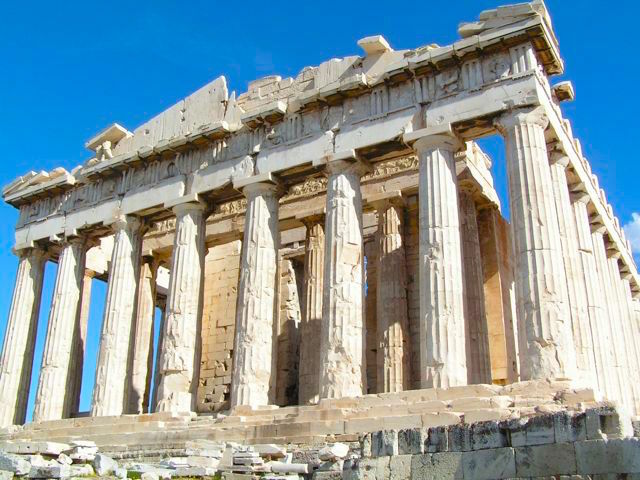 Too much time in Athens in the summer may challenge a marriage before it really begins so most honeymooners spend the first night there to fulfill their obligation to Greece's ancient past by visiting the Acropolis, and the other museums and ancient sites. Dinner in the neighborhoods of Psiri, Gazi or the Plaka where eating outdoors is almost year-round can also be a romantic experience if you know where and what to eat. Day and overnight trips to the Monasteries of Meteora, Ancient Delphi, and the Argolis (Myceneae, Epidavros, Nafplion and Corinth) with a group or on your own with a private driver like George the Famous Taxi Driver at the end of the trip is a nice way to say goodbye to a country that has much more to offer than beautiful beaches and spectacular hotels. The final night or two is usually spent in Athens for the simple reason that you don't want to miss your flight home because your ferry was delayed. Stay in centrally located hotels like the 5-Star Grande Bretagne, Electra Palace, or the Royal Olympic if you want to really live it up. 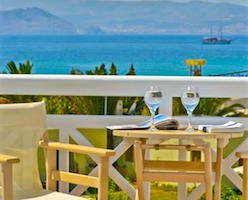 If you want to save your money for food and drinks take it down a star or two at the Athens Gate or the Hotel Central. 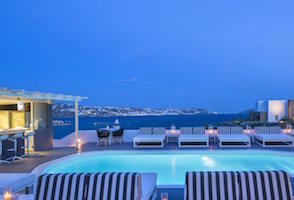 If you are going the self-service budget honeymoon you can't beat the Hotel Attalos for price and location and the best rooftop hotel bar in Athens. The best time to go is May, June and early July and then September and October if you want the best weather. 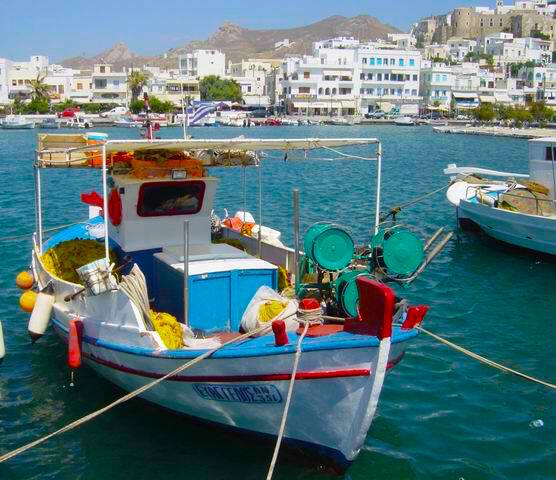 From mid-July to the end of August not only is it peak season but the Athenians leave their city for the islands so hotels, restaurants and ferries fill up and the prices go up. 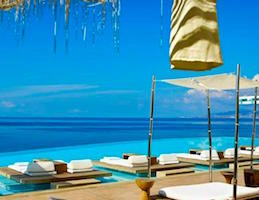 However if you come to Greece to party then this is the time to be here and you won't be bored. From November to April the weather is more variable but the crowds disappear and Athens with its terrific restaurants and nightlife, endless pedestrian streets and avenues and the green park areas around the Acropolis, becomes the focus, with day-trips and overnights to nearby islands and the mainland when the weather is good which it is more often than not. As for winter the chances are good that wherever you go in Greece will be warmer from where you are coming from if you live in the Northern Hemisphere and especially Northern Europe or the USA. 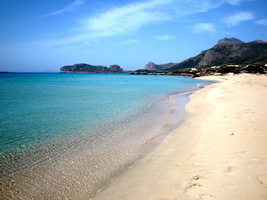 Yes you can swim in Greece in the winter if you are the hearty type. You can also ski and snow-board. But before you pack your bathing suit and flip-flops you should read my Guide to Off-season Travel. For a Honeymoon? Do you really need to Ask? I understand if you are trying to show your new partner how efficient you are in organizing things and I respect that. Maybe you have booked previous honeymoons for yourself to Jamaica or Mexico or Paris or wherever people go for their honeymoons. But Greece is not like those places where you book a flight and a hotel and you are done and things will generally work out. 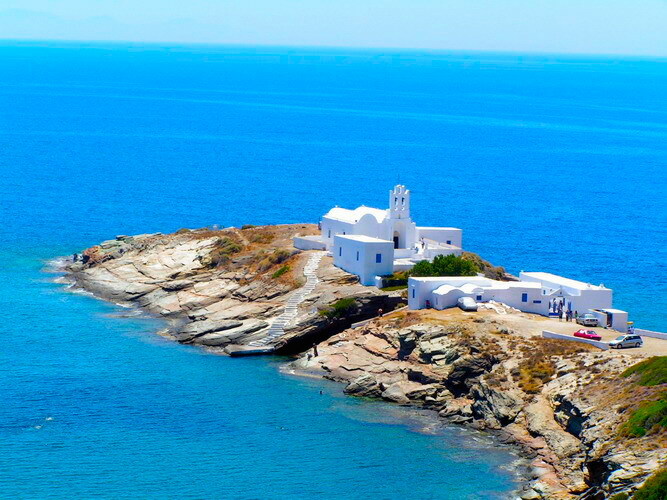 Greece has islands that you have to get to, and between if you are visiting more than one. Things can get complicated and things can go wrong when you are coordinating hotels in several destinations with the ferries that may or may not be going on the particular day you need them to. Honeymoon specialists like Fantasy Travel and Dolphin Hellas in Athens as well as Aegean Thesaurus in Sifnos can keep a trip running smoothly by coordinating ferries and hotels as well as providing options and information and dealing with any problems that may arise. Many a marriage has been wrecked by a husband or wife intent on doing it on their own, standing on the pier waiting for a ferry that existed only on an automated booking website. For some of you this may be your only honeymoon so you should do it right. 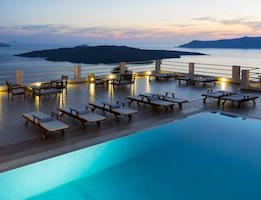 The agency knows the hotels and they know Greece and they can help you do it perfectly. The best advice I could give someone planning their honeymoon is to keep it simple. Athens and one or two islands is a richer experience than 'island-hopping' which often means spending more time on ferries or waiting for them than on the islands. Fantasy Travel's Honeymoon Programs are perfectly designed and affordable, using the most romantic hotels in the most beautiful locations. If you have an idea of what you would like to do you can also use my Create-an-itinerary Form to choose islands, tours, mode of transportation and in 24 hours you will get a travel agent designed itinerary with no obligation to purchase. Please make sure to specify that this is your honeymoon. For those who want to see many islands there are the Fantasy Travel Cruises that give you a taste of each island and even some stops in Turkey. For the more independent and adventurous there are the smaller cabin charters that visit lesser known islands that the big ships can't go to, or the sailboats which can be chartered with or without a skipper, where you can make up your own itinerary, stop in secluded bays and coves and stay where you want for as long as you want. See Sailing in Greece. 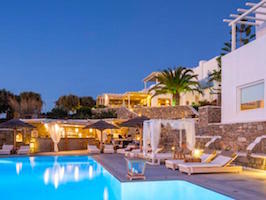 When you add it all up: the beaches, the spectacular views, the food, the nightlife, the ancient history and the diverse character of the Greek people, there is probably no better place in the world to spend your honeymoon than Greece... if you do it right.